I might say the same for memoirists in regard to Mentor: A Memoir. This celebrated new book is the story of Tom Grimes’s life and work as a novelist and his relationship with the legendary Frank Conroy (1936–2005), whose books include the classic memoir Stop-Time and the novel Body & Soul, about a young musician. Grimes was thirty two in 1989 and working as a waiter in Key West when Conroy, director of the Iowa Writers Workshop, admitted him based on a promising except of a novel in progress. Both men were on the upswing. Grimes had been writing seriously for a decade and finally had published a few stories; at Iowa, he’d take his prose and his storytelling to a new level. After Stop-Time, in 1967, Conroy had gone almost twenty years before publishing another book, his story collection Midair, but that September an excerpt of Body & Soul appeared in GQ and at the same time one of his essays was included in Best American Essays 1989. The first thing I noticed about your memoir is how smoothly the narrative flows between scenes and exposition. Is that something that you have a particular talent for, or is it a skill you’ve developed from writing many novels? 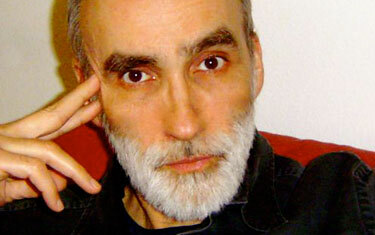 Do you construct such movement in rewriting, or is it a matter of working it out as you go, by feel? The protagonist, the character “you,” emerges right away as a testy, anxious guy; later, he suffers from depression and severe paranoia. Yet I found his brutal honesty about himself winning, and admired his courage in revealing his innermost doubts. Some memoir writers can’t—or won’t—show themselves in an unflattering light; and readers crave honesty but also seemingly want to identify with the protagonist in a memoir. Do you have any advice about achieving this balance? In Mentor you say you wrote twenty hours a week for ten years as an apprentice learning your craft. That’s over 10,000 hours—before the Iowa Writers Workshop. Do you remember your breakthroughs, or does the skill-acquisition ladder blur after so many years? As a teacher yourself, what are the first, fundamental skills you try to teach creative writing students? It seems from reading Mentor that you learned about yourself in writing it. You indicated that, after all your fiction, you finally put yourself in your work. Was this as therapeutic as it sounds? Did you learn anything new about writing in creating Mentor? You write of your sense of failure, yet you have published a lot, including books with big New York trade houses. Although you aren’t as famous as the scant handful of writers in a generation so blessed, you became a writer, an artist. Do you think your friendship with Frank Conroy, had he lived longer, would have ameliorated this feeling? Or is this sense intrinsic to being an artist, a practitioner in a field full of geniuses? Or is it just personal, in your case perhaps stemming from your difficult upbringing revealed in Mentor? There’s a great interview between Tom Grimes and J.C. Hallman at Bookslut, and another, with Louis Mayeaux, at Southern Bookman. 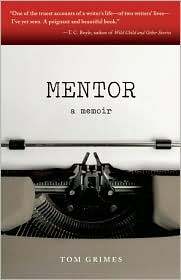 The Washington Post Book World ran a rave review of Mentor by Michael Dirda. 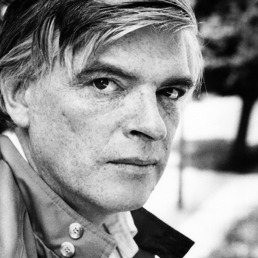 There’s a wonderful 2002 interview with Frank Conroy at Identity Theory in which he discusses his approach to writing as a career (not for him) and his admiration of the work of F. Scott Fitzgerald. In a previous post, “Frank Conroy on mystery & memoir,” I excerpted his interview with Narrative Magazine. I didn’t intend to read ‘Mentor’ until I read your review. Now it’s a must! Grimes’ advice to remove unnecessary language, get to the dramatic action and to remember the third act is very astute. So many layers to our work! I particularly enjoy line editing and am always amazed at how many words can be removed. Grimes is an excellent writer. His prose very fluid. How interesting that he reveals a sense of failure in Mentor. It has to be a common feeling among writers. I’m with Scribbly Jane above. I had no intention of reading the Grimes–I’m still slogging through Mary Karr’s “Lit” and have Michael Chabon’s memoir next on the agenda. After your review, though, I plan on reading Mentor. Thanks for another great review.